Hey Nic, how’s it going? Hi there! Back home living the winter dream! Working hard for next year. In Sylt you earned your first top 10 finish - it must feel great to reach that milestone? 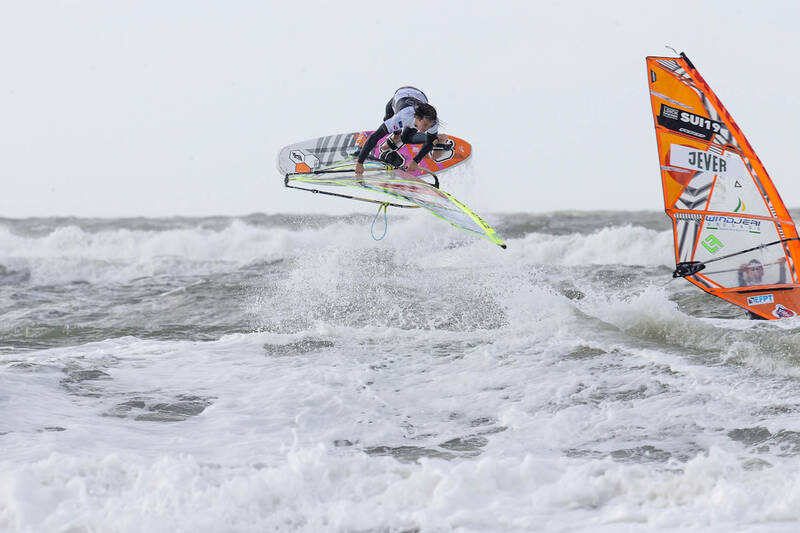 Yeah really stoked to finally make a good result in a world cup contest, to do it on a huge stage like Sylt as well felt really good. It’s lit the fire for me , I’m more driven for contests now than ever. Do you think that Sylt is the best you’ve sailed in a contest so far? And just how hard were the conditions? I think in terms of how I handled the mental game yes. It was cold, onshore and brutal. Water moving everywhere between the groins and potential to mess up a whole heat with one mistake, so to keep calm and switched on was the hardest part. Going forwards what is your overall goal? I want to see a solid tour come back for freestyle and would love to be a part of the progression of our discipline. Windsurfing has so much more to show, I just hope it gets its opportunity to be seen through the right eyes at the right time. You also finished 17th overall - which makes the the top ranked Brit - how does that feel? Finishing inside the top 20 was the goal this year to make sure I qualified for next season. I was a bit nervous after losing second round in Fuerte to Tonky Frans with only 2 events counting but managed to hold it together when it counted in Sylt which saved my year. There isn’t any easy heats, so any mistake has very high consequences. I started thinking what was next if I didn’t qualify… It would have probably been the end of my ‘career’ for now haha. What do you think are some of your strengths? And where do you think you need to improve? Stating your own strengths and weaknesses with little context is a hard one. I guess loving windsurfing so much that I haven't allowed a bad result stop me from trying again and again. Sponsorship deals are hard to come by these days, previous generations seem to have used them all up but that’s not going to stop my hunger for progression and love for this sport. Places to improve in competition for me is consistency. I know I have the level, it’s just getting it together every heat which is the hard part. I feel my sailing is either knifes or bread sticks haha, learning to grind out a heat is important. Where is your favourite location to sail? Lac bay, Bonaire will always be special to me. But this year Costa Teguise in Lanzarote became my favourite spot, it’s a free wave paradise. Has to be the air Kabi! The feeling of the direction change at the top of the jump is euphoric. What is the move you found hardest to learn? Shifty was the most painful for the longest amount of time and it still humbles you even when you think you’ve got it! Double air culo has taken me years and I still can’t do it consistently. One location that you haven’t been to yet, but would love to go? Ponta Preta, Cabo verde. I dream of even just watching a wave like that in real life. What will you be up to over the winter and where will you be training? I’m working for Beaulieu Rails, a Landscaping and fencing company back home, till January time. Then I will hit the road in the van and head south to score a variety of conditions with friends. Balz Müller might come across to UK waters in December to see what it’s about over here and to shape some fun boards in the garden shed! Thanks, Nic! Good luck over winter and see you next year!